89 mins. Rated R for strong violence, disturbing images, and sexuality. 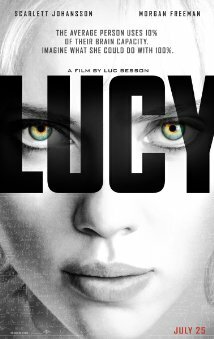 Lucy, the new film from occasional visionary Luc Besson (The Fifth Element, The Family) is the tale of a young woman who becomes more than human thanks to an experimental drug and a situation she couldn’t have imagined falling into. Scarlett Johansson (Lost in Translation, Captain America: The Winter Soldier) is Lucy, who has become a drug carrier to appease her boyfriend. When the drug she is delivering ends up in her bloodstream it awakens her full brain capacity and starts turning her into the Star-Child. You remember Star-Child, right? From 2001: A Space Odyssey? Yeah, well, this movie kind of just rips that off, but don’t worry, there are also bits of Limitless in there, too. Luc Besson’s major fault as a filmmaker is that he comes up with great ideas, but sometimes, he is a bit late to the game, and when he does get there, he can’t always formulate the ideas into a workable piece of art. Not all his films are like that, but it is a trend I am starting to see with the writer-director. 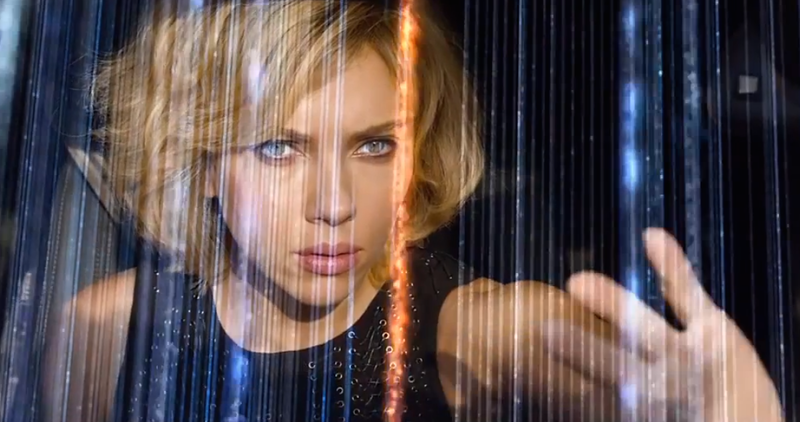 Scarlett Johansson is reduced to playing an unemotional machine by Act II, which depletes all the emotional resonance that she is capable of. Morgan Freeman (The Shawshank Redemption, Dolphin Tale 2) is relegated to reading out of a textbook for the entirety of the film as Professor Norman. Really, the only character I found myself even marginally connecting to by the midpoint of the film is Pierre (Amr Waked, Syriana, Salmon Fishing in the Yemen), a cop caught up in Lucy’s mission to ascend to the next plane, and even he isn’t given enough fleshed-out time to really do anything. The visuals are cool but they feel like they’ve been taken from better films. The screenplay (which took nine years to get off the ground) doesn’t offer anything new to the genre and just sort of falls flat. I wanted to like Lucy, but Lucy just didn’t like me back. Near the end, like Johansson’s previous Under the Skin, the film started to win me back, but it was too little too late for me. There are better films that play with these themes, so experience one of them instead.